The ability to "read your own writes" is often taken for granted by application developers as it does not need special support in monolithic, single-node databases. In the case of distributed databases, "read your own writes" involves a developer often needing to change the application logic to be sure that the newly written data has first been propagated from the node where it was written to the replica node it's being read from. 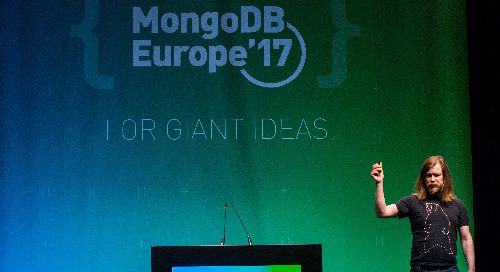 In the new 3.6 release, MongoDB adds Causal Consistency support, which simplifies the task of "reading your writes", while maintaining the scalability and availability advantages of distributed systems. This talk will be presented by the developer of MongoDB’s causal consistency feature. Attendees will learn how MongoDB engineers took the research of causal consistency, starting from Leslie Lamport’s famous paper that introduced logical clocks, and converted it to a production grade implementation.